Also, the side impact and curtain air bags are designed to inflate when a rollover is detected by the rollover sensor. 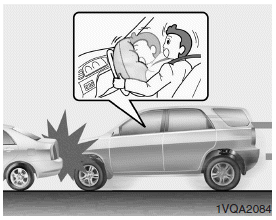 Although the front air bags (driver’s front, knee and front passenger’s air bags) are designed to inflate in frontal collisions, they also may inflate in other types of collisions if the front impact sensors detect a sufficient frontal force in another type of impact. Side impact and curtain air bags are designed to inflate in certain side impact collisions. They may inflate in other type of collisions where a side force is detected by the sensors. 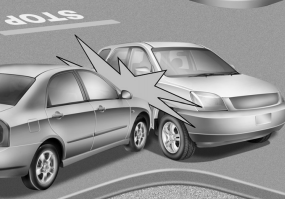 Side airbag and/or curtain airbags may also inflate where rollover sensors indicate the possibility of a rollover occurring (even if none actually occurs) or in other situations, incluiding when the vehicle is tilted while being towed. 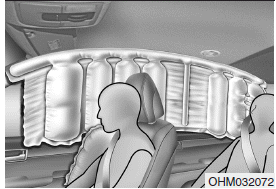 Even where side and/or curtain airbags would not provide impact protection in a rollover, however, they will deploy to prevent ejection of occupants, especially those who are restrained with seat belts.